Step by step instructions for using Napster radio on mobile and the web. 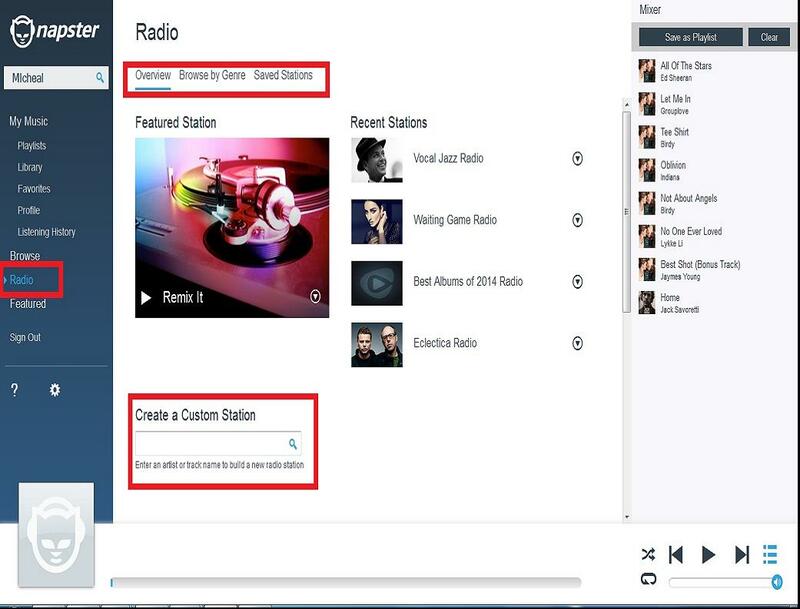 Click Radio at side menu bar, then enter an artist or song to start a personal station. Or click the tabs at the top to listen to other popular stations, find radio by genre, and see stations you've saved.